Iceland is one of my specialties and I've blogged about it frequently.This endearing country, especially the tiny capital city of Reykjavik, is a wealth of treasures, though many tourists simply stop off at the Blue Lagoon after they arrive at Kevlavik Airport, spend barely a day in the city before heading off on the Golden Circle or other tours of pristine parks, gushing geysers and cascading waterfalls. But Reykjavik has so much to offer. I've spend at least 4 to 5 days in the city each time I visit and I always find plenty of culturally interesting and active adventures as well as gourmet delights. These are some of my favorite little-known activities in Reykjavik. Check it out and next time you head for the land of fire and ice, save some time for these. 1. 871 +/- 2: The Settlement Exhibition, is a curious name for a museum. But it makes sense, considering that’s Iceland’s approximate settlement date. Located on the exact spot where they found the ruins of a 10th century longhouse, this archeological museum stands beside a major hotel. If you steer clear of archeologic museums, be warned that this one is hardly chock full of dull exhibits. It’s quite interactive with holographic-type images and sounds of the time, from knife making to cowbells. 2. Not far away along the quay, the Reykjavik Art Museum - Harbor House features the pop oeuvre of noted Icelandic artist, Erro. But the museum also regularly hosts temporary exhibits that are quite innovative. (This is one of the three Reykjavik Art Museums in the city and each is worth visiting for the pastiche of often colorful abstract works as well as inspired landscapes on display. 3. Nearby is a warehouse that’s home to the Saturday morning flea market. It’s bric-a-brac laden but it’s the food court that’s worth visiting. Often, you can sample some of the typical food items found in every Icelander’s home, including potato bread, rugbraud (malt bread), dried catfish and the infamous fermented shark meat. I was warned to avoid the latter but accidentally sampled a small cube that was offered to me on a toothpick. After finding it tasteless after initially chewing it, the full power of the ammonia-laden meat became overwhelming. 4. I’m not necessarily a big fan of visiting cemeteries but Reykjavik’s is reminiscent of a botanical garden. The 19th century Holavalla Cemetery is dense with foliage and ancient gnarled trees towering over ornate headstones. 5. 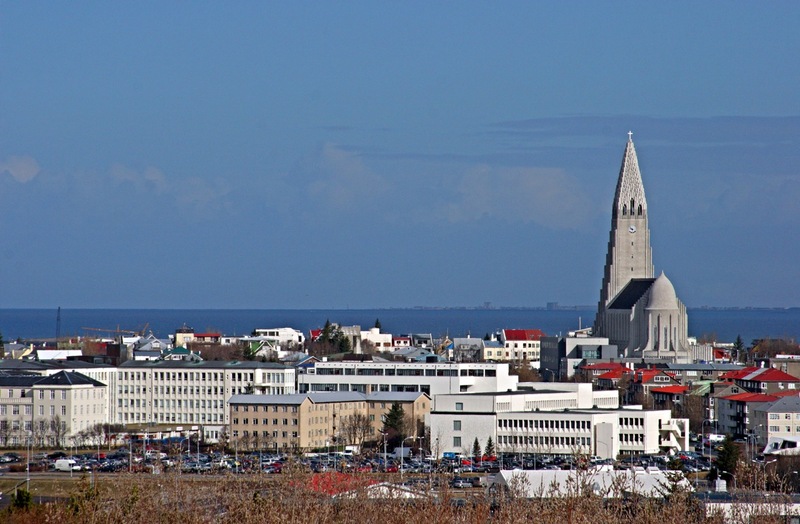 Walk towards the city’s towering landmark, the church named Hallgrimskirkja, and you’ll find the Einar Jonsson Museum with its postage stamp-size sculpture garden. As you explore the allegorical works, you’ll notice that he was very much influenced by mythological and religious themes. 6. Take a long pleasant walk or a short cab ride to get to the Reykjavik Botanic Garden located in the Laugardalur area. There you can wander twisty paths and inspect the plants that come from all over the world, including New Zealand and Asia. It’s interesting to see so many trees here in a country where tall evergreens are a rarity. Housed in a greenhouse laden with flora, Cafe Flora — a perfect lunch spot — is aptly named. 7. Certainly, one of Reykjavik’s most famous features is the Blue Lagoon with its series of geothermal pools and rejuvenating silica mud where you could luxuriate for most of the day. But, its location midway between downtown and the airport, hardly makes it convenient. You can choose from an array of mud and other spa treatments at their downtown location that’s not far from the Botanic Garden. If you choose a treatment, you also have access to the mega health club (Hreyfing) that’s in the same building. Or simply opt for a day pass to the health club. 8. And, if you can’t get enough of the water, Reykjavik even has a beach, but, like so much in the city, it’s hardly ordinary. Nautholsvik, a petite half-moon bay that’s easily accessible by bike, bus or cab, is geothermally heated and man made: the sand was trucked in. And if the water isn’t hot enough for you, there are hot tubs located just offshore and on the coast beside the sand so you can bake. Pick a sunny day to visit and you’ll find dozens of Icelanders soaking, lying on the sand, or playing volleyball. I've always thought it would be an amazing experience to visit Iceland -- and that was before have the opportunity to read any inside tips. Thanks for sharing your secret Reykjavik tips. I look forward to reading more about your experiences in Iceland! 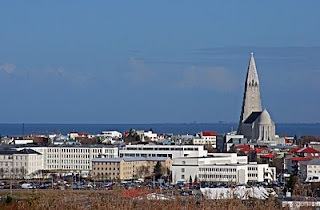 I have been to Reykjavik, but only the airport, so that probably doesn't count. Thanks for the tips, Jeanine! Hi Jesaka, I'm glad you enjoyed the tips. Iceland is a very amazing place with surprises around every corner. Hi Susan, Well, the airport counts a bit but hopefully if you ever have more time, you'll be able to explore the rest of the capital. My husband and I were going to babymoon there. Alas, we had to cancel the trip because he broke his leg. And, then, well, the baby came. It's on my list! Hi Alisa, Reyjavik would've been a great venue for a babymoon. But I'm sure you'll totally enjoy it with the baby down the road. What a wonderful post, thank you for sharing these tips with us, very helpful.